With less than 50 days until the UK is set to withdraw from the European Union, the Confederation of British Industry has issued a warning that UK exporters risk being locked out of harbours around the world in the event of a no-deal Brexit. 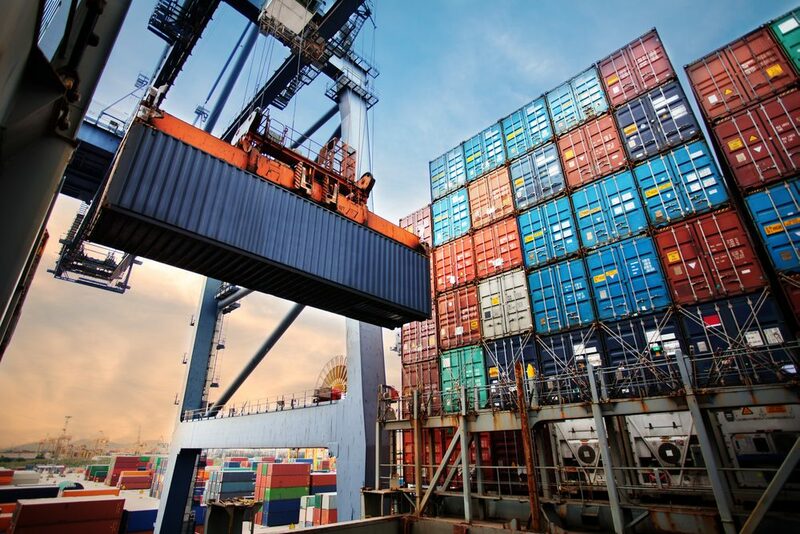 Many exporters will be dispatching goods within the next few days that will not arrive at their destination until after the 29 March deadline; if no deal is in place by then, the goods could either be stuck in ports or be subject to considerable additional costs. Ben Digby, the international trade director at the CBI, said: “In the event of a ‘no-deal’ Brexit, there are ships that are setting sail from the UK today that will have to weather a thick extra fog of uncertainty on the high seas, as they could arrive in port effectively locked out of the very market they have travelled across the world to get to.” It is within the realms of possibility that 20% tariffs could be placed on goods overnight if they do not arrive before the Brexit deadline. That is likely to amount to millions of pounds in additional costs per year. Theresa May, Jean-Claude Juncker and Donald Tusk met in Brussels yesterday for Brexit talks, and it was rather alarming how quick they were to downplay the prospects of a breakthrough in negotiations. The prime minister has recently conceded that there will have to be an Irish backstop – which has angered hard Brexiters in the Tory party – but the precise terms of the backstop are still a sticking point. As it stands, no clear solution presents itself. There has been two years of negotiations and now only a few weeks to get the deal over the line. The EU has agreed to fresh talks though and we should be thankful for mercies at the moment, however small. The Labour leader, Jeremy Corbyn, has offered an olive branch of sorts, as he said his party will support May’s plans if she makes five binding commitments, including joining a customs union. That response has divided Labour MPs, some of whom are in favour of a second referendum, but were May to agree to the demands, she would certainly have a better chance of getting her deal through Parliament. Labour felt moved to deny that if May rejected Corbyn’s Brexit letter, a second vote would be the next step. Yesterday’s economic data is included in the sections below, which should make for interesting reading. The Bank of England met and the European Commission revised its growth forecasts again. The world appears to be plagued with uncertainty at present and we really cannot emphasise just how important considering currency risk management strategies is at present. Of course, we believe it should always be a consideration, but the potential volatility over the next two months or so helps reinforce our belief that to do nothing to protect your business would be a mistake. Contact our team today by emailing the trading team directly at corptraders@smartcurrencybusiness.com, or giving us a call on 0207 898 0500. The Bank of England announced its interest rate decision yesterday and, unsurprisingly, they were kept on hold this time around. What made for more interesting reading, were the minutes from the Monetary Policy Committee meeting and subsequent press conference. The MPC confirmed that it is concerned about Brexit and the ongoing trade war between the US and China, as well as the fact that the UK economy has weakened in recent months. Interestingly, policymakers said that they could cut or raise interest rates after Brexit, depending on how the process of withdrawal goes. It is fair to say it has been anything but smooth so far, but as the deadline approaches, perhaps MPs will stop squabbling and actually agree on the best way forward. We certainly won’t be holding our breath though. The Bank added that business investment has been hurt by the continuing uncertainty surrounding Brexit. Later, governor Mark Carney said that the ‘fog of Brexit’ is creating tensions and said it would be remarkable if sterling’s current value reflected the final outcome of the Brexit negotiations. That is a clear hint that there will be wild swings, although in which direction simply cannot be known at present. One of the most startling things Carney said was that a no-deal Brexit could cause a recession in the UK. Sterling had an extremely volatile day against the dollar yesterday, as it dropped to a two-week low following BoE’s comments that said Britain’s economy has been damaged by Brexit. However, it reversed those losses and did an about-turn after it was announced that the UK and EU had agreed to fresh talks. There was around a one-and-a-half cent swing between the GBPUSD highs and lows yesterday. The Halifax house price index increased by 0.8% year-on-year in the three months to January 2019, which was some way below the 1.5% expected by the markets. Month-over-month, the figures were a cause for concern, with prices dropping by 2.9% when a more modest drop of 0.5% had been predicted. It will not surprise you to learn that Brexit uncertainty is one of the chief reasons for the drops, as nobody knows what impact it will have. Following rafts of disappointing data from the back-end of 2018 and into the new year, the European Commission has downgraded its growth forecasts for 2019 and 2020. It now expects the eurozone to grow by just 1.3% this year, down from a previous forecast of 1.9%. The 2020 forecasts have been cut to 1.6% from 1.7%. The US-China trade war is being held up as one reason for the cuts, as well as general economic weakness across Europe. The eurozone’s largest economy, Germany, has had its growth forecasts cut to 1.1% from 1.8% and Italy’s GDP growth rate is expected to be even worse, with new predictions set at 0.2% for 2019, rather than the 1.2% previously put forward. Italy’s new populist coalition is being blamed, with rising financial costs taking their toll. Somewhat unsurprisingly, given recent releases, December’s industrial production figures from Germany showed a contraction of 0.4% when growth of 0.7% had been expected by the markets. It is the fourth straight month of declines industrial output. The euro weakened sharply against sterling following the news, with the pound climbing way above the €1.14 mark. Today we will see the balance of trade figures from Germany for December. Last time, the surplus came in at €20.5 billion so it will be interesting to see if this figure widens or contracts. Yesterday, House Speaker, Nancy Pelosi, said that there will not be another government shutdown over Trump’s demands for border wall funding. She said that the longest shutdown in history which recently came to an end, was so unpopular that Republicans would not be prepared to let it happen again. That does not mean to say that it will not, but it is telling that when Trump once said he would be ‘proud’ to shut the government down, he quickly started blaming everyone else for it. Initial jobless claims came in much higher than expected at 234,000 up to 2 February 2019, although that was down from 253,000 the previous week. The markets had been anticipating a figure of 221,000. Other than that, it was a fairly quiet day for US economic data, which is perhaps just as well given how much there was to digest from the UK and eurozone. Today is a fairly quiet day across the board, but there will no doubt be plenty to worry about on the political landscape.